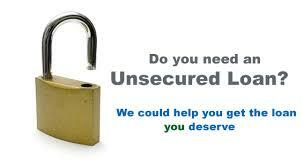 Are you thinking about getting an unsecured personal loan? We can give you some guidance. Read this article to find out what you need to know. These days, more and more people are taking out personal loans. In fact, recent research suggests that about 24 million Americans are considering taking out an unsecured personal loan sometime in the next year. Before you commit to taking out a personal loan, make sure you know exactly what you're getting into. In this post, we'll tell you the 4 basic things you need to know about unsecured personal loans. Taking out unsecured personal loans means that you don't have to put up any property or other collateral to get your loan. This is different than other types of loans because this means that a lender can't seize your home or car if you don't make your repayments. When it comes to these personal loans, it may make you feel better to know that lenders take much more risk than borrowers do. This doesn't mean, however, that your lender can't garnish your wages or use other legal means to ensure you pay back your loan. Make sure you can always make your monthly payments. Because of the risk to the lender, your credit score is a huge factor in whether or not you will be eligible for a personal loan. If you have a great credit score, it's more likely you'll be approved for the loan, and that your interest rate will be lower. You may even be able to borrow larger amounts. Even if you don't have a great credit score, you may still be eligible for a personal loan with the help of a financially strong co-signer. Keep in mind that taking out a personal loan also impacts your credit score, which is why it is so important to make payments when they're due. When you take out a personal loan, it's likely that the interest rate won't change for as long as you have it. However, there are some options with a variable interest rate. Keep in mind that this will impact the amount of money you pay to the lender over the life of the loan. Likewise, the repayment plan is scheduled to be paid back by a specific term, usually up to 60 months. The longer the repayment period, the lower the monthly check you send to lenders - but a higher interest rate. Keep in mind that when you apply for a persona loan, some fees other than your monthly payments will likely apply. These can include a processing fee, potential prepayment penalties, and even late fees. Always make sure, when deciding on a lender, you know all the fees and potential fees associated with the loan. Ready To Apply For An Unsecured Personal Loan? Thanks to this post, you're now familiar with the basics of taking out a personal loan. Doing so can help you achieve your dreams while keeping your financial situation secure. To learn more about how to take out a loan, and to find a lender you can trust, spend some time on our site.